Shrine is located on the Temple Mount in the Old City of Jerusalem. 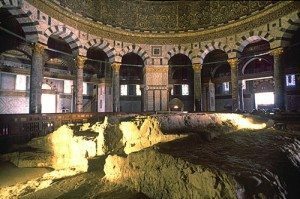 Structure has been renovated several times since the end of the first in 120 AH by order of the Umayyad caliph Abd al-Malik Ibn Marwan. 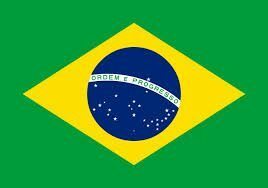 Importance of the site stems from religious traditions around the rock, known as the cornerstone, in her heart. The Dome of the Rock is located at the visual center of a platform known as the Temple Mount. It was constructed on the site of the Second Jewish Temple, which was destroyed during the Roman Siege of Jerusalem in 70 CE. In 637 CE, Jerusalem surrendered to the Rashidun Caliphate army during the Muslim conquest of Syria. The location of the Dome of the Rock was established as the site of the Islamic miracle of the Isra and Miraj by Caliph Omar ibn al Khattab, who was advised by his associate, Ka’ab al-Ahbar, a former Jewish rabbi who had converted to Islam, that Isra and Miraj took place at the site of the former Jewish Temples. 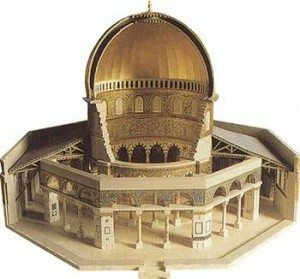 The Dome of the Rock was erected between 118 and 120 AH. is in the shape of a Byzantine martyrium, a structure intended for the housing and veneration of saintly relics, and is an excellent example of middle Byzantine art. During the reign of Suleiman the Magnificent the exterior of the Dome of the Rock was covered with Iznik tiles. The work took seven years. Haj Amin Al-Husseini, appointed Grand Mufti by the British, along with Yacoub Al Ghussein implemented restoration of Dome of the Rock and Al Aqsa Mosque in Jerusalem. In 1955, an extensive program of renovation was begun by the government of Jordan, with funds supplied by the Arab governments and Turkey. The work included replacement of large numbers of tiles dating back to the reign of Suleiman the Magnificent, which had become dislodged by heavy rain. 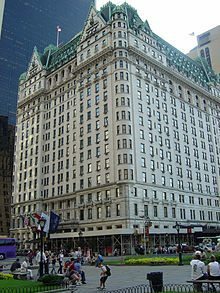 In 1965, as part of this restoration, the dome was covered with a durable aluminum and bronze alloy made in Italy, that replaced the lead exterior. The restoration was completed in August 1964. In 1993, the golden dome covering was refurbished following a donation of $8.2 million by King Hussein of Jordan who sold one of his houses in London to fund the 80 kilograms of gold required. 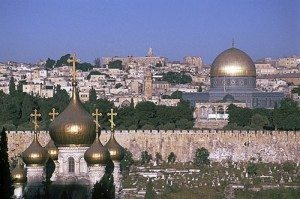 During the Crusades the Dome of the Rock was given to the Augustinians, who turned it into a church while the Al-Aqsa Mosque became a royal stable. 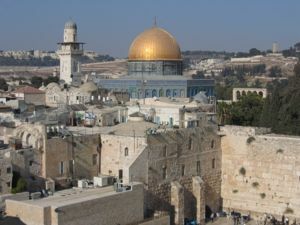 The Knights Templar, who believed the Dome of the Rock was the site of the Temple of Solomon, later set up their headquarters in the Al-Aqsa Mosque adjacent to the Dome for much of the 12th century. Jerusalem was recaptured by Saladin on 2 October 1187, and the Haram was reconsecrated as a Muslim sanctuary. 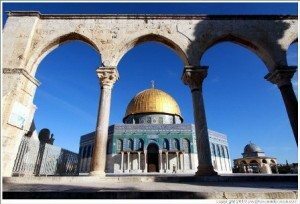 The cross on top of the Dome of the Rock was replaced by a golden crescent, and a wooden screen was placed around the rock below. 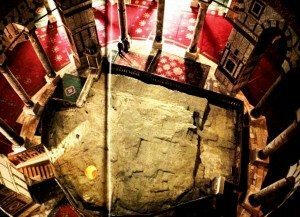 Saladin’s nephew al-Malik al-Mu’azzam Isa carried out other restorations within the Haram and added the porch to the Aqsa mosque. Large-scale renovation was undertaken during the reign of Mahmud II in 1817. Adjacent to the Dome of the Rock, the Ottomans built the free-standing Dome of the Prophet in 1620. 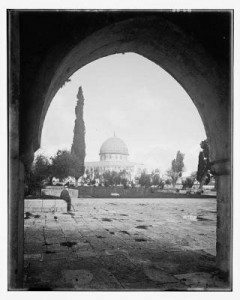 The Dome of the Rock was badly shaken during an earthquake in Palestine on 11 July 1927, rendering useless many of the repairs that had taken place over previous years. It was like visiting a celebrity on the street. Someone you’ve always seen in pictures and on TV screens.